New Delhi: After Subhiksha Trading Services Ltd and Vishal Retail Ltd, the Sabka Bazaar grocery chain is the latest to receive curtailed or no supplies from vendors amid allegations of delayed payments, resulting in limited stocks in its stores. Asked about the alleged non-payments and the bare stores, a spokesperson for Wadhawan Retail said in an e-mailed reply, “We are getting good support from our stakeholders and vendors, with whom we are working very closely to further customizing and providing merchandising assortments appropriate to the location and the consumer catchment for each store." 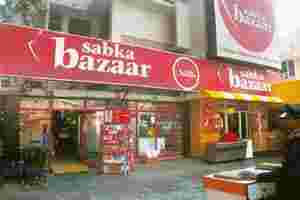 Half a dozen Sabka Bazaar stores that Mint visited, from Patel Nagar in central Delhi to Noida, a suburb outside the national capital, were partially empty with limited stocks of grocery and other consumer items. Staff at these stores talked about a “problem" at headquarters but didn’t have any further details. Employees said supplies have been erratic the past two months. Suppliers to Sabka Bazaar in the Azadpur vegetable wholesale market as well as distributors of consumer products said the firm has not been clearing bills for months. A vendor of Hindustan Unilever Ltd and Reckitt Benckiser India Ltd products has stopped supplies to the chain after it defaulted on payments for months. “Sabka Bazaar is definitely facing (financial) problems. They do not have funds and the stores are not stocked well," said another vendor of a multinational consumer firm that supplies to the chain. He did not want himself or his organization identified. “In the case of big and stable retail chains we do not mind keeping some bills pending, but in the case of Sabka Bazaar, we give them credit of only two outstanding bills. In order to get fresh supplies, they have to clear at least one outstanding bill," he said. The vendor said his firm had given him a sales target of 40% growth from modern retailers and he has achieved 30-35% expansion across organized retailers. “But it is much lower in the case of some smaller and financially not-so-strong retail chains such as Sabka Bazaar." Sabka Bazaar, a unit of Home Stores India Ltd, was acquired by Mumbai-based Wadhawan Retail for an undisclosed amount in 2007. According to the firm’s website, it operates some 100 Sabka Bazaar outlets that sell grocery, food, personal care and other products.